A man has been charged with assault and violent disorder in relation to an attack on Liverpool supporter Sean Cox last April. 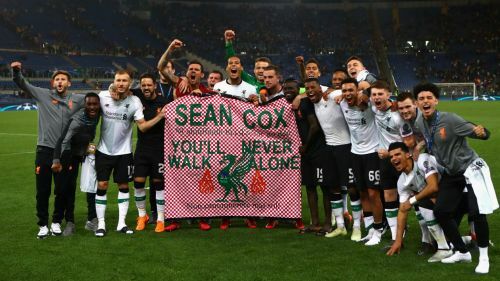 Cox, 53, was left in a coma and with life-changing injuries following the incident outside Anfield prior to the first leg of the Champions League semi-final tie between the teams. Merseyside Police said 30-year-old Simone Mastrelli was arrested in Italy on a European Arrest Warrant and was extradited to the United Kingdom ahead of a court appearance on Friday. A statement from Merseyside Police read: "Merseyside Police detectives investigating the assault of Sean Cox, 53, in April last year have extradited a man who was arrested in Rome on suspicion of assault. "Thirty-year-old Simone Mastrelli from Rome was arrested on a European Arrest Warrant following the incident outside Anfield ahead of the Champions League match between Liverpool FC and AS Roma on 24 April 2018. "Mastrelli was extradited back to England yesterday (Thursday, 31 January) and has been charged with Section 20 assault and violent disorder. He has been remanded in custody to appear at South Sefton Magistrates Court at 2pm today, Friday, 1 February."